Up North, spring is high on the list of occasions to celebrate. The days are longer, the weather is warmer and the slush from the melting snow is a welcome sign of what’s to come. 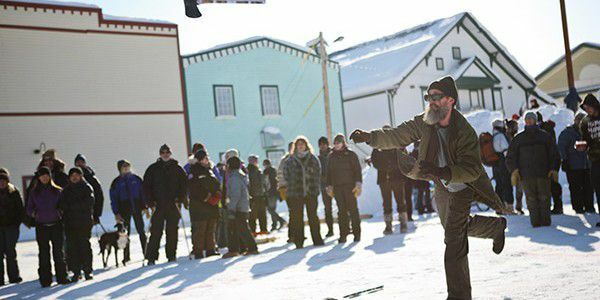 Thaw-di-gras Spring Carnival is a wacky-wild celebration in Dawson City that’s just one more reason to look forward to the return of summer. Here are a few things you can expect to see at this Yukon hot spot this weekend. First of all, know that the weekend is jam-packed. Activities kick off at 4 p.m. on Friday with an oyster feast at Bombay Peggy’s. By 5 p.m. there’s live music from George McConkey beginning at the same time as a glow-in-the-dark skate party at the Art & Margaret Fry Recreation Centre. Around 8 p.m. is a lip-synch competition and a karaoke party followed by live music from The Executives at the Westminster Hotel. On Saturday, get out and about by 10 a.m. for a “The Price is Right”-style competition at the General Store. Later on in the morning are some dog Olympics with prizes for every canine participant, plus hockey games out in the middle of the road. Come afternoon there’s snowshoe baseball, snow mini-golf and an adult tricycle race. There’s also a cat show to elect the city’s new feline leader and free sled dog rides from B-Line Racing Kennels. In the evening there’s arm wrestling, beer cap basketball, a fashion show for the best winter outfit and the night is capped off with live music again. Sunday morning offers a chili cook-off (the 21st annual, so you know there’s some killer recipes), followed by chili taste-testing open to all, as well as the snowshoe baseball finals. 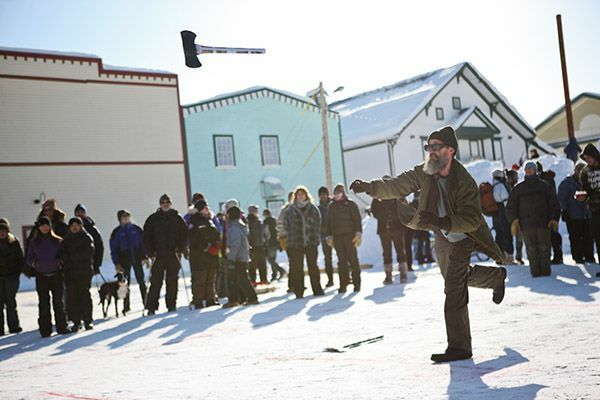 The day also brings an axe-throwing contest, a log toss and a tea-boiling contest requiring participants to make their own fires. The weekend ends as it began with an oyster feast, and more live music is the cherry on top of a wild weekend. We told you it was wacky! Nearly all of these activities are free for everyone and a fantastic way to get a feel for just how excited those of us up North are at the prospect of summer. Here’s to spring!